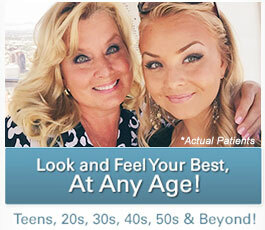 Cosmetic surgery offers abundant benefits in addition to rejuvenating your outward appearance. Many patients report an increase in confidence, greater enjoyment of life, and improved well-being after achieving their desired outcome. Dr. Christine Petti, our board certified plastic surgeon, offers a comprehensive array of aesthetic enhancement options customized to suit your singular needs and goals. At Palos Verdes Plastic Surgery Medical Center, we understand cost is an important consideration for many individuals, and we will discuss the financial details of your unique treatment plan during your initial consultation. Furthermore, we work with several reputable lending agencies that can help you bring the cost of your desired procedure or procedures into budget. Whether you prefer to pay in monthly installments or in one lump sum, we make achieving your goals as easy and as convenient as possible. 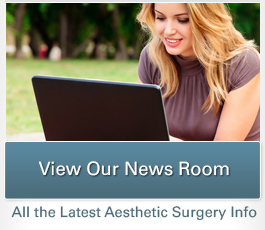 For more information about your plastic surgery and cosmetic enhancement financing options, or if you would like to schedule a consultation with Dr. Petti, please contact our office today. One of the most popular healthcare lending agencies in America, CareCredit® offers low and no interest affordable payment plans for qualified applicants. Additionally, they require no upfront costs, no annual fees, and no pre-payment penalties. You can finance surgical costs up to $25,000, placing nearly any goal within reach for most. With financial packages covering up to $100,000, Prosper HealthCare Lending offers a wide range of healthcare loans designed to be as simple and as straightforward as possible. Plans include longer-than-standard terms with lower monthly payments, no early payment fees, no retroactive interest, and a brief approval process. LendingUSA offers a convenient online application and speedy approval process to help you begin your cosmetic enhancement journey as quickly as possible. A variety of terms, low rates, and affordable payment options make LendingUSA appealing for many individuals. Like CareCredit®, United Medical Credit offers loans up to $25,000 for patients seeking a wide range of healthcare procedures, including plastic and cosmetic surgery. In addition to friendly service, they have competitive rates, affordable payment plans, and interest-free options for qualified applicants. If you have additional questions about our financing options, contact us today. Our friendly and knowledgeable team can provide information and help you schedule an appointment with Dr. Petti.